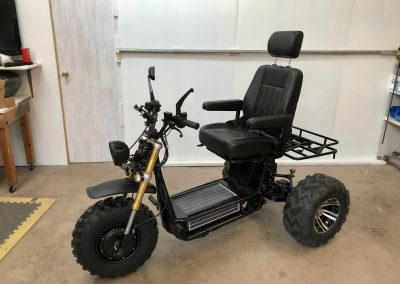 The Boomer Beast is basically the Daymak Beast EBike and the Ultra Beast ATV combined into a new configuration. The front 2/3rds of the Beast bike is mated to the rear end from the ATV to produce the trike layout, combining elements of both systems. 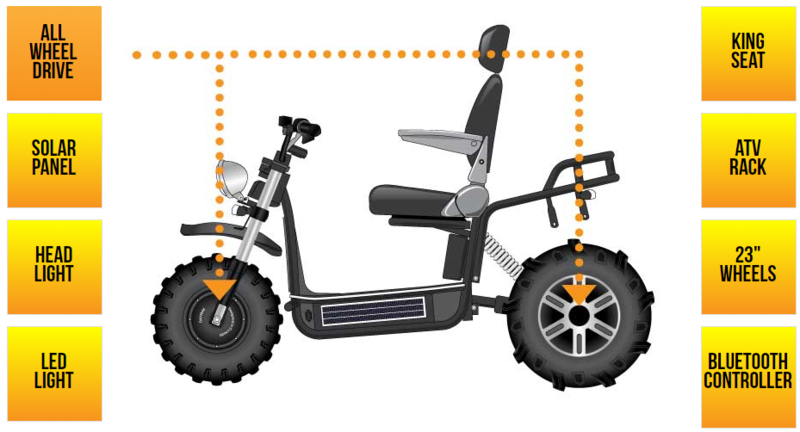 To make the trike mobility legal it is speed limited as well as having a large more traditional mobility style king seat. 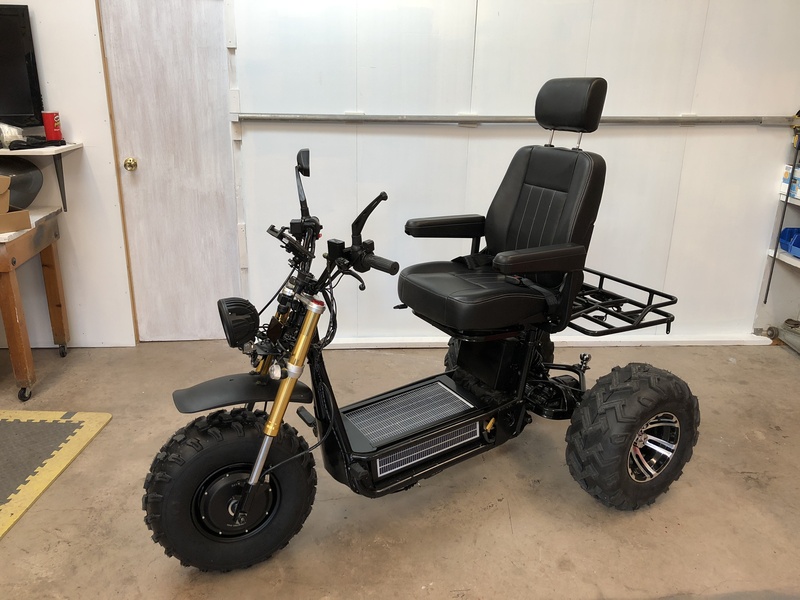 The Ultimate Boomer Beast runs two separate motors, one in the front hub 500W and one for the rear wheels 1000W to give all-wheel drive, which is switchable to just two-wheel drive via a switch. 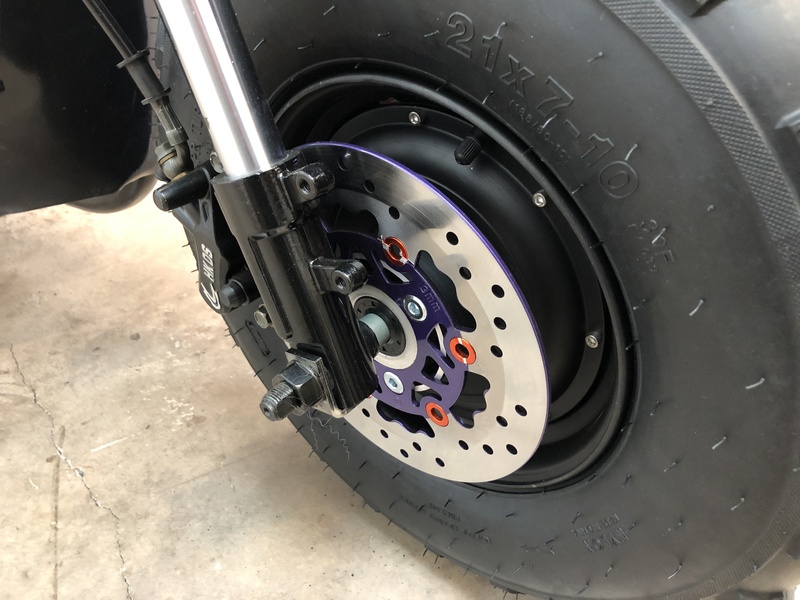 The front wheel is 21″x7″x10″ and the rears are 22″x10″X10″. 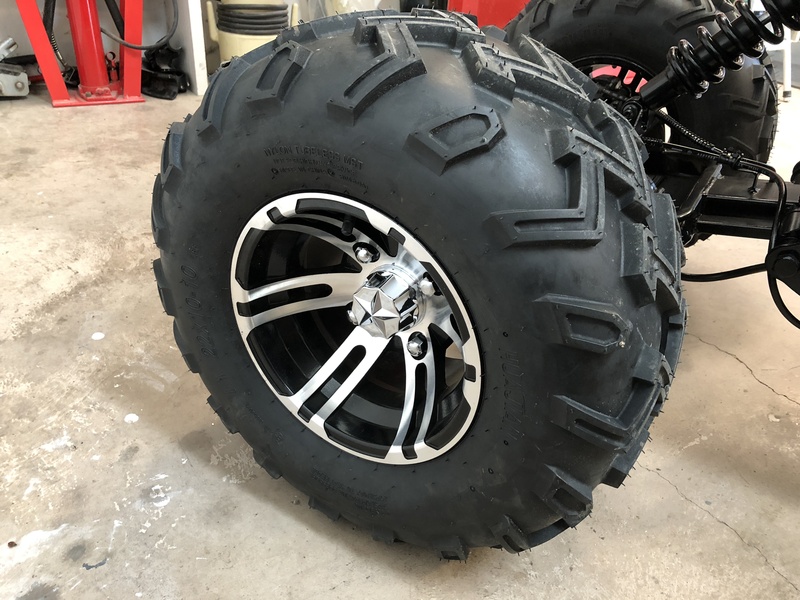 The overall dimensions are L:78″ W:38.6″ H:59″ with a weight of 265lbs. 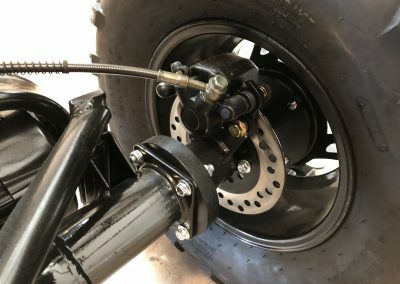 Hydraulic disc brakes are on both the front and rear. 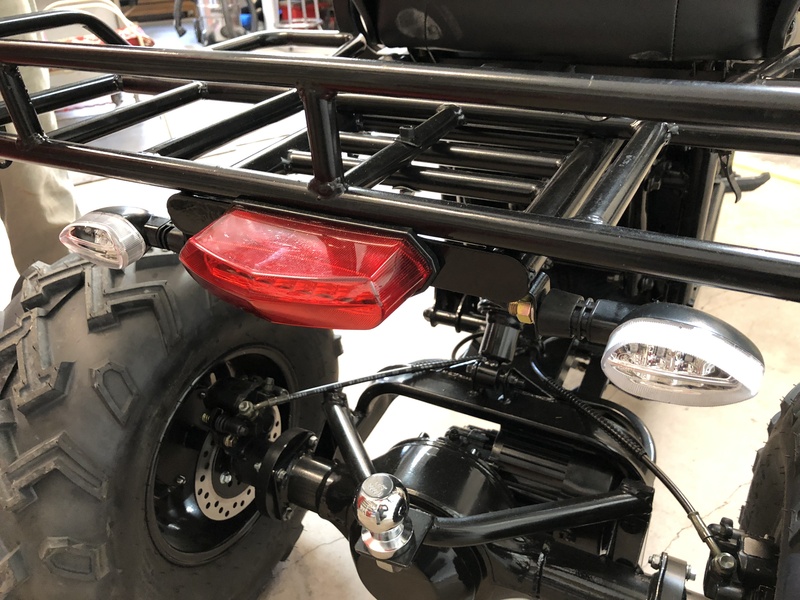 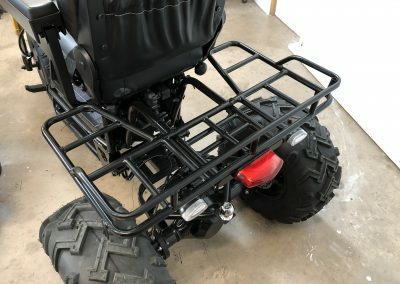 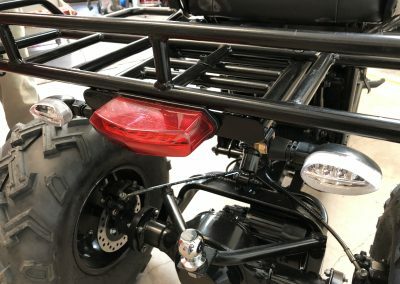 It also features a trailer hitch and ATV rear rack standard. 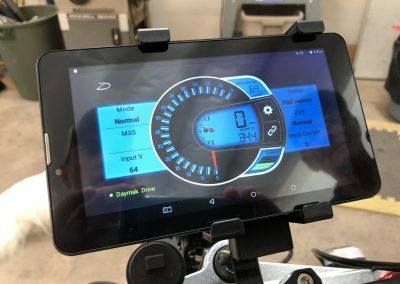 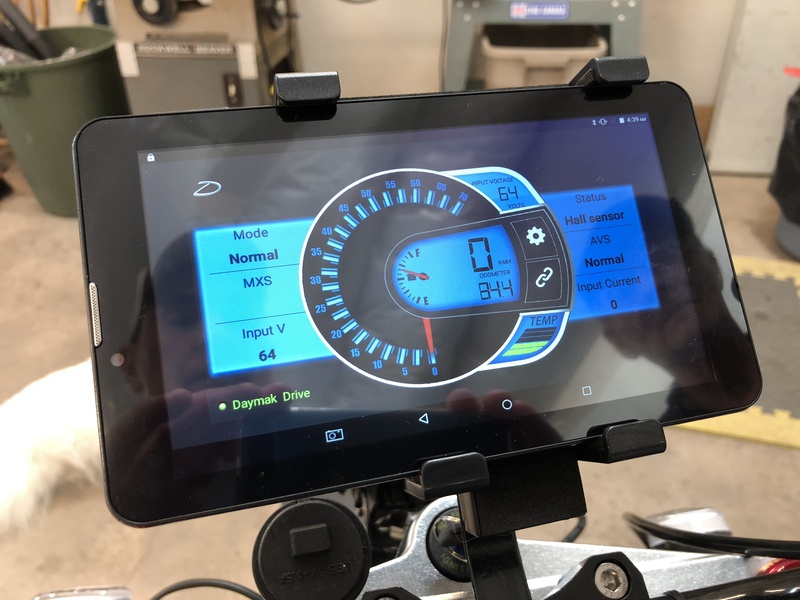 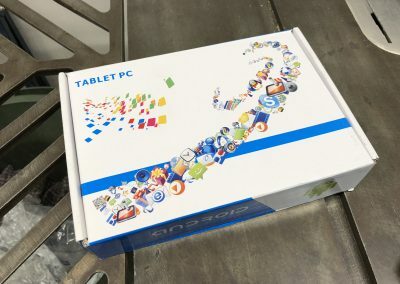 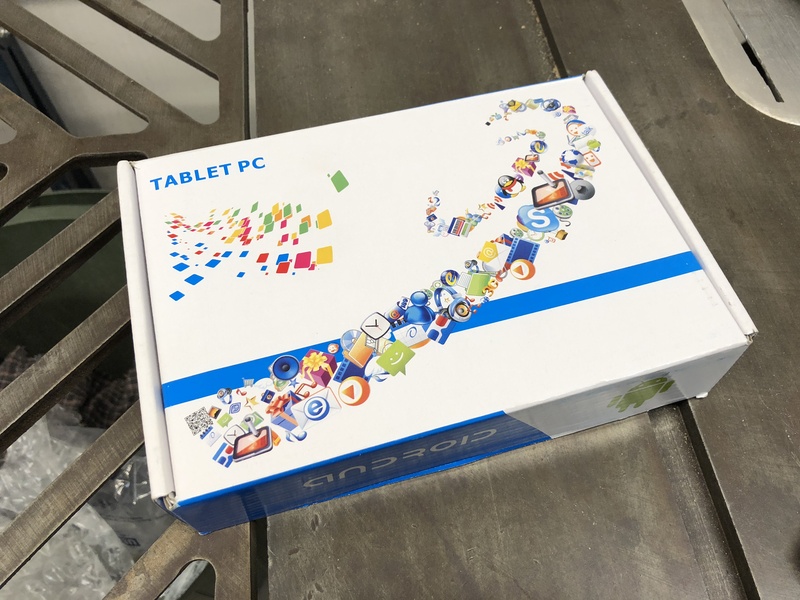 The version that we received is also the updated 2018 model which has a LED-based headlight and the standalone LCD info panel is replaced with an Android tablet that shows the speed, voltage, and other info as well as ability to change parameters of the motors and related settings. 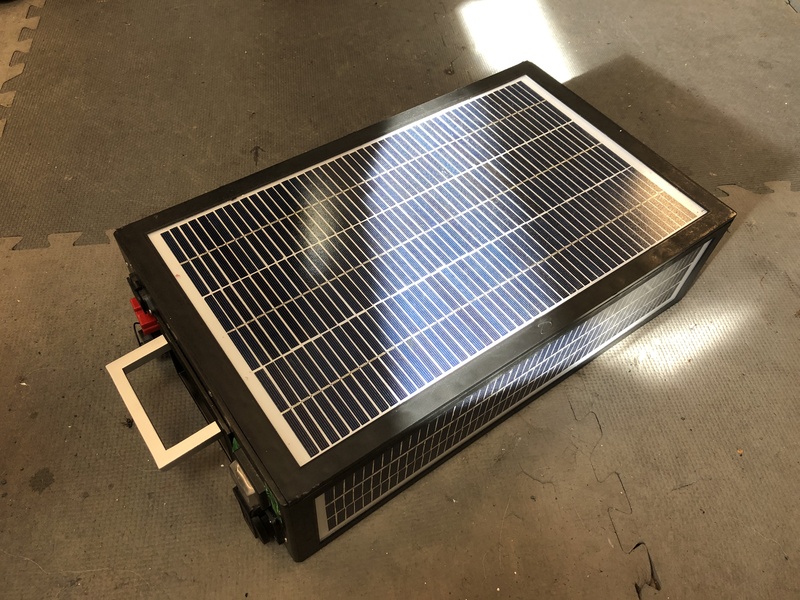 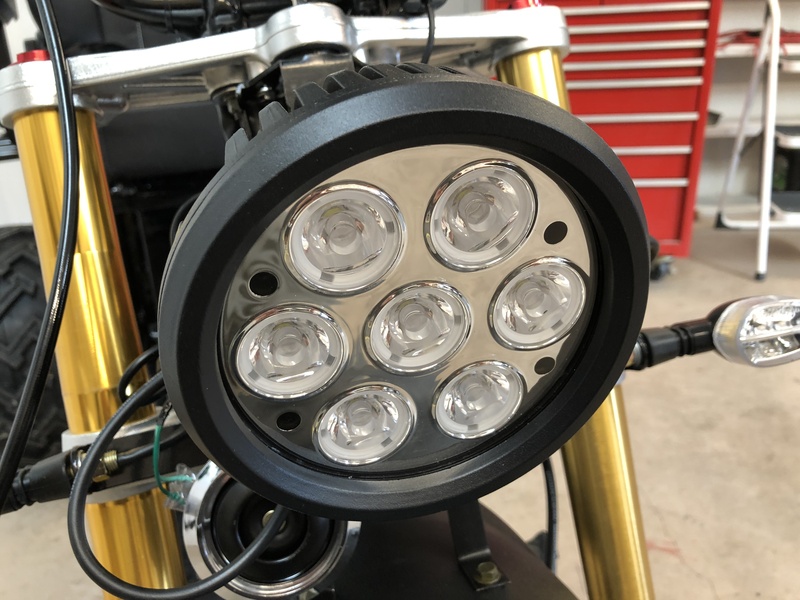 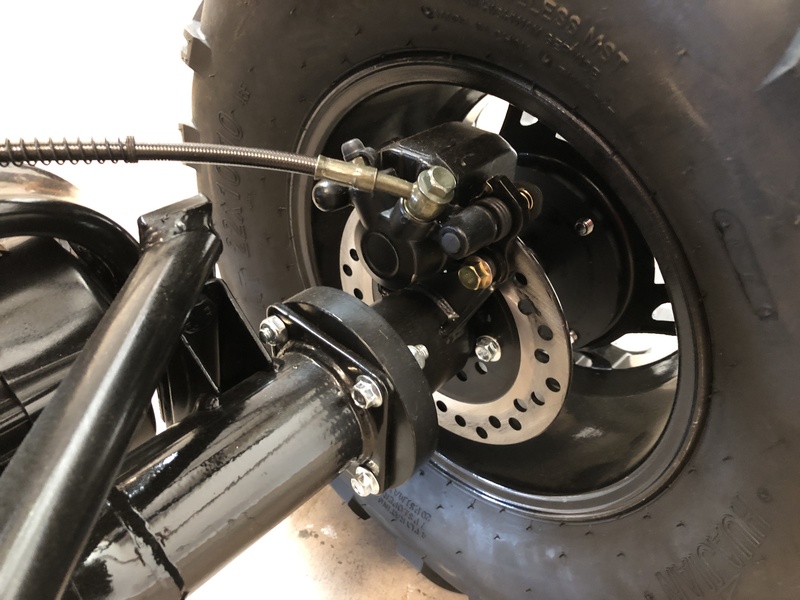 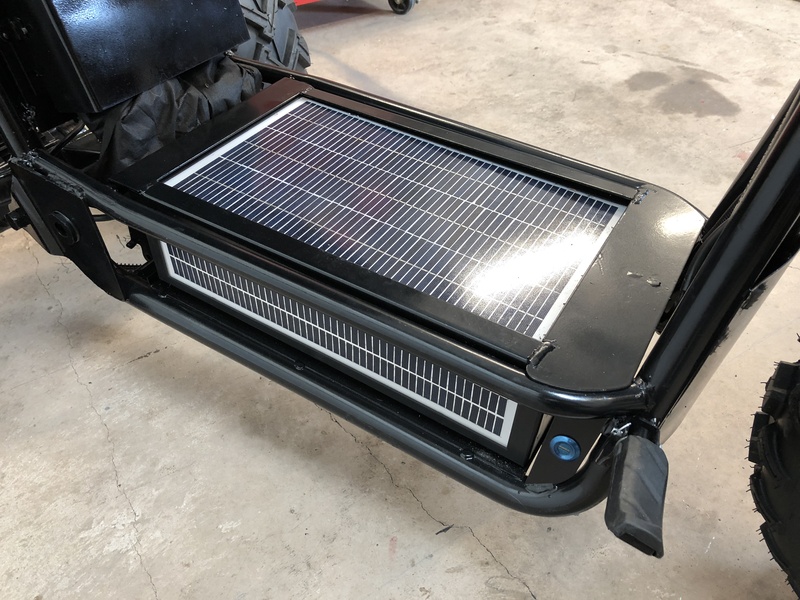 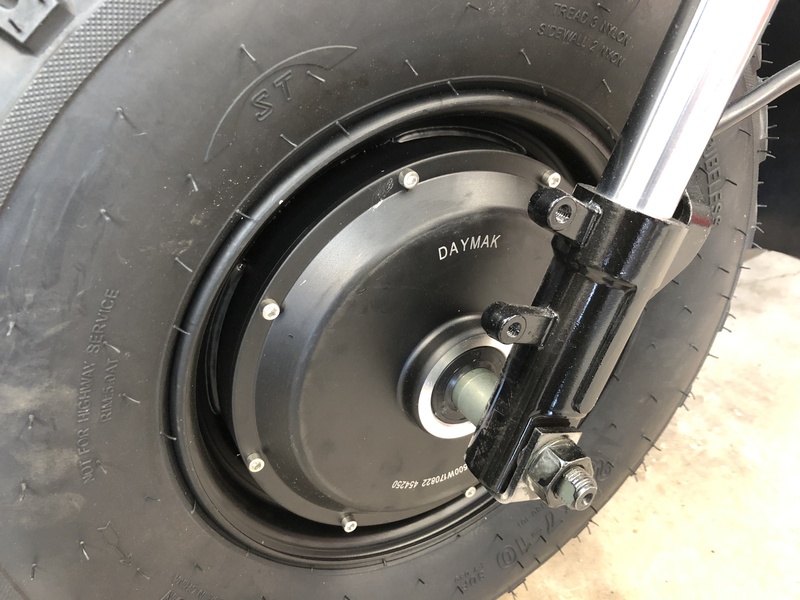 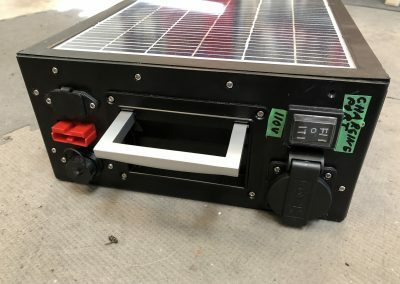 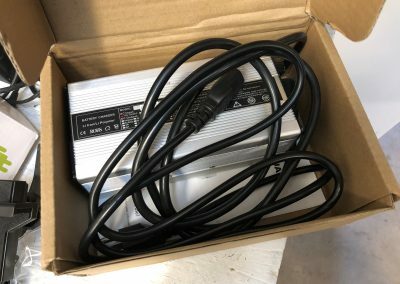 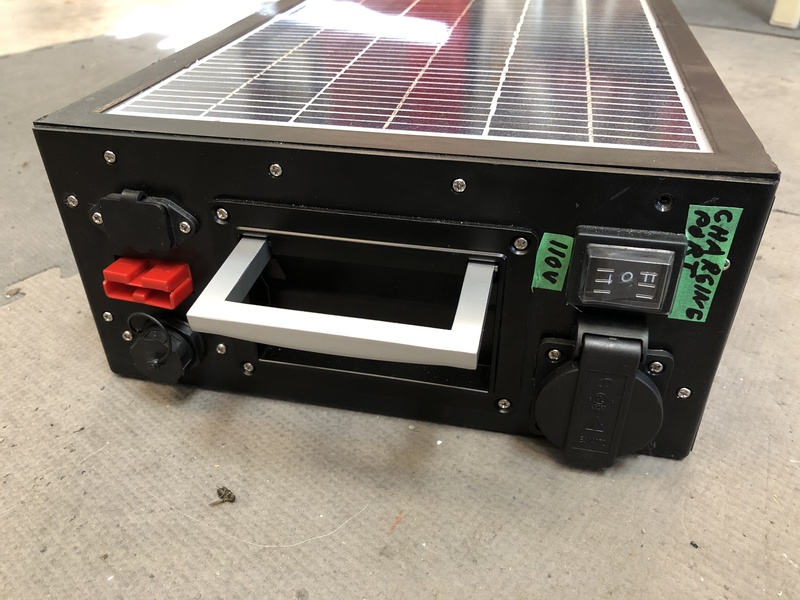 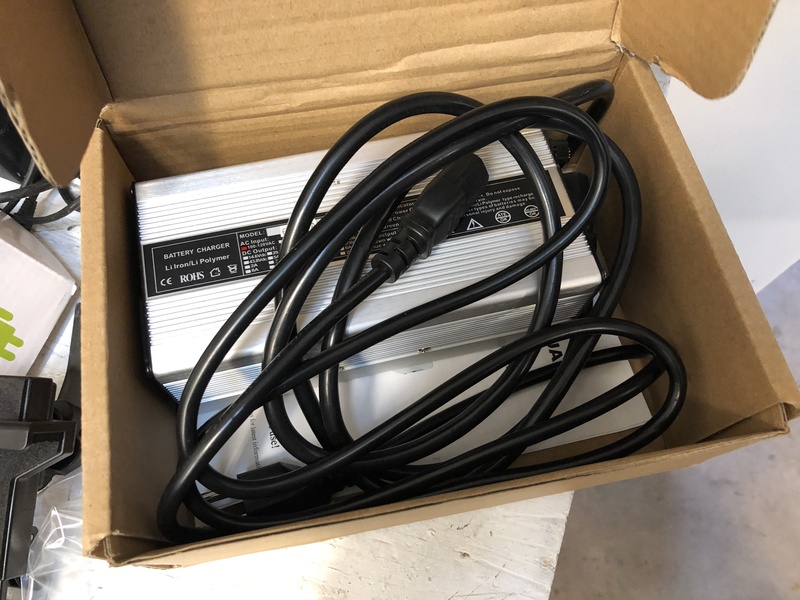 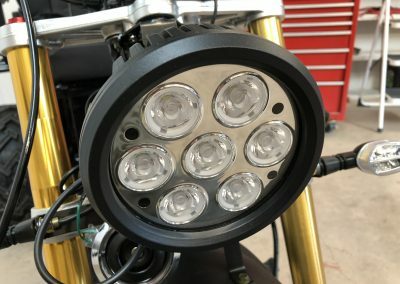 The package also includes a 60V5A 110V/220V charger for the removable Lithium, 2506 Watt-hour Panasonic battery pack that powers the trike. 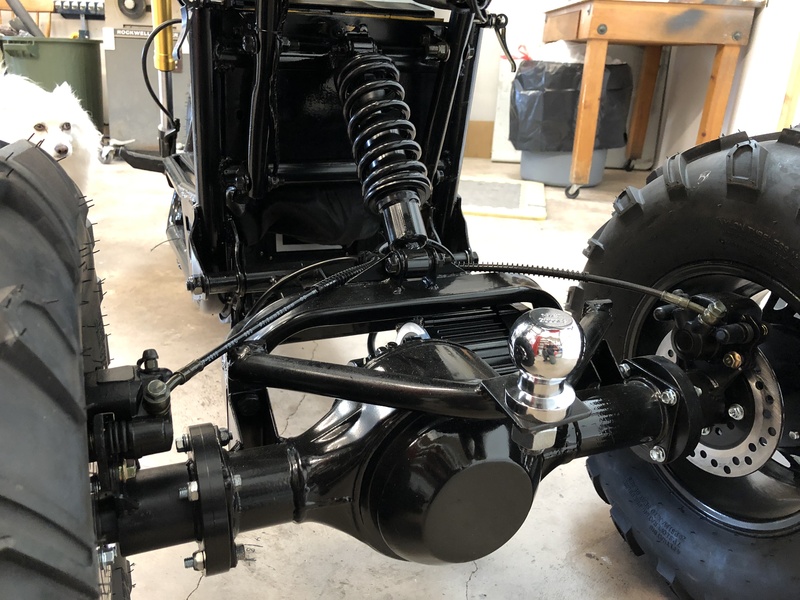 In the next few articles, we will dig deeper into the Boomer Beast setup & configuration and go over the good, the bad, & the ugly to be found on the system.